Having its name changed from the Android Market to the Google Play Store isn't the only change happening to Android's online app store. According to TechCrunch, the Google executive in charge of the store, Eric Chu, has resigned and will be re-assigned to another position within the Mountain View based tech giant. 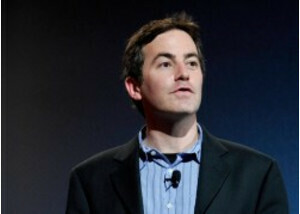 Android's top digital content executive and the face of Google Music, Jamie Rosenberg, is expected to take over. Sources for TechCrunch said that part of the problem was that Chu's responsibilities (developer relations and business development) overlapped with those of Product Manager David Conway which led to problems. It is believed that with Rosenberg at the top, there will be no question of who is in charge at the Store. Additionally, it is hoped that with Rosenberg running the store, it will get more attention from top Google brass. Andy Rubin is said to be concerned with device activations and Google Search ad revenue and considers the success of the Google Play Store to be of a secondary concern. While the App Store is considered a major part of the success of iOS, Android does not have the depth in its executive suite to give its Store the attention it deserves. Apple gets 6 times the revenue from the App Store than what Google was getting with the Android Market. This might change with Jamie Rosenberg in charge and explains the reason for the name change as Google has often subscribed to the theory that a new broom sweeps clean. yeah, i hope he was "reassigned" because of the mistake he's made with the Google Play idea. what mistake? its just a cohesive rebranding. Its not like anything actually changed. would you please play me the directions of the nearest restaurant? Here are your directions: Italian - Mario theme Fast Food - Sonic the Hedgehog theme Steakhouse - Country Chinese - Chinese Mexican - Mexican American - 'I'm Fat' by Wierd Al....LOL! I hate the fact Google doesn't advertise the store on commercials. I say LEAVE IT GOOGLE MARKET. Its bad enough people didn't even know what the Android Market was and now they change the name which is even more confusing because its just called 'Google Play'. Agree, from Android Market to Google Play Store. Play will make you think about stuff like music and movies, not necessarily about Apps. Google Store or Google Market would have been better. Yea google store or google app market would be best.. I do like the new logo tho but play store is borderline retarded..
Yeah, but we all know that if they used either "app" or "store" in the name, all the Apple faithful would have started crying about Google copying. Hell, if Amazon hadn't already smacked Apple in court over the name "App Store", Apple would probably sue over either word. Still might. To generate far more income from the Play Market, Google should see to it that Android users outside the US can buy music, movies and all apps ;) And when they're at it, add GDrive at the same time! 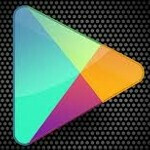 I found it very unwise to change the name to Google Play, a bad move by the guy in charge. The previous name was clearly better in a rhetorical sense. This has caused criticism and dislikes from dedicated android fans who expected something better.